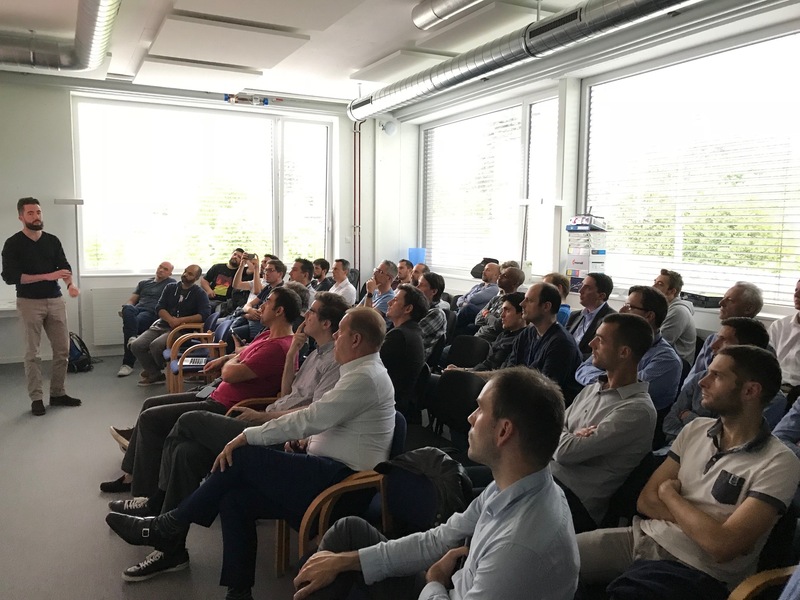 On the 31st of May 2018, SmartWave hosted its Docker Geneva Meetup. Three presentations has been offered during the meeting and you ll be able to find the slide deck here under with a short résumé of all of them. This time the topic was about orchestration and during the MeetUp we have been trying to answer to the question : Docker Swarm ? Kubernetes ? or something else ? First presentation about Docker Swarm has been realised by Eric Duquesnoy our Docker Capain in SmartWave. Then Kunertbenetes has been introduce by Sebastien Goasguen from Bitnami. He is a Kubernetes expert and the organiser of Geneva Kubernetes MeetUp. And finally we could discover Jelastic by the famous Matthieu Robin from Hidora repesenting the local Devops MeetUp. Needless to say that a third halftime took place on SmartWave premises during this Orchestration dedicated Meetup.